Twitter is more than just a platform for sharing news and updates: it can be a tool for directly communicating with your community and understanding what is important to them. 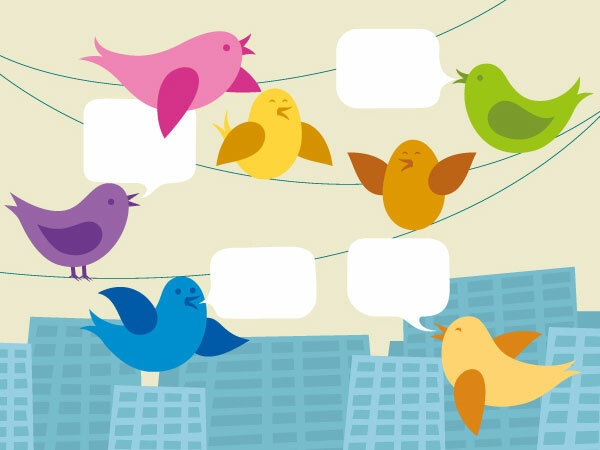 One way you can connect with your Twitter audience is by hosting a Twitter Chat. They can be a good way to discuss key topics, raise awareness, and exchange knowledge and resources between you and the community. Several HIV organizations host Twitter chats on health topics, during HIV awareness days relevant to their community, and/or during HIV/AIDS conferences. You can also check in with your followers to see if there is a topic or issue that they’d like to discuss. We’ve compiled a few tips to get you started, thanks to our friends at the Office of Disease Prevention and Health Promotion (ODPHP), who created a long-standing resource for hosting Twitter chats [148 kb, PDF]. If this is your first Twitter chat, you might want to consider participating in a chat before you host. This can help you get a feel for the ins and outs of Twitter chats, and might even give you some ideas. In addition, participating in a Twitter chat will help you build your online community: you might gain new followers and partners through the process. You can find health-related Twitter chats via the Healthcare Hashtag Project. Lesson #2: Choose a theme. Next, you’ll want to determine your chat’s purpose. It’s important to choose a defined purpose so your participants are all on the same page. In ODPHP’s case, they have hosted a Twitter chat in honor of Health Literacy Month, and the purpose of the chat is to discuss health literacy. Lesson #3: Pick your hashtag. You’ll want to choose a hashtag that isn’t currently being used by another organization or individual. This will help ensure that your Twitter chat isn’t lost in another conversation. Lesson #4: Keep Twitter’s character limit in mind as you create your hashtag. Remember, everyone has to answer your questions and prompts within 140 characters—that’s tough! You don’t want the hashtag to eat up too many characters. Find a unique hashtag, but try to keep the character count within 10-20 characters. Lesson #5. Plan your questions in advance. Well-thought-out questions will keep the discussion flowing. Try to keep the discussion casual but informative by asking open-ended questions and prompts. Lesson #6: Prepare your Twitter chat team. If you have the bandwidth, it helps to have a few additional team members to help monitor and moderate your Twitter chat. One person can be in charge of asking the questions, while another facilitates responses, and a third person monitors the clock. Each situation is different, so you’ll want to choose roles that work best for your team. During the chat, remember to listen to your audience and respond to their answers and comments – it’s a Twitter chat, not a Twitter blast! Follow along with your own hashtag and respond to the tweets that follow. On that note, try to pace your questions and prompts throughout the chat. Ask questions and give prompts one at a time, and allow your audience to respond before you share the next question. This helps to ensure your chat feels more like a conversation, and less like a one-way lecture. Lesson #8: Promote your chat! You’ve picked a date, you’ve planned your questions, you share your first tweet, and….crickets. Don’t forget to let your audience know you’ll be tuning in and hosting the chat during the specific date and time. Consider tweeting about the chat several weeks in advance. You can also provide partners and individuals with promotional tweets they can share on their own accounts to help get the word out. In addition, don’t be afraid to reach out to other organizations that might be interested in your Twitter chat: the chat will give them an opportunity to engage with the audience, too! If you’d like to learn more about Twitter chats, don’t forget to sign up for our Virtual Office Hours. This post was originally published on the AIDS.gov blog. For more tips and resources, check out Twitter Chat Guidance for Federal Agencies, Meeting Customer Needs Through Social Media, Great Customer Service in 140 Characters: #AskFAFSA Twitter Chats, and other recent articles in our Social Media category.